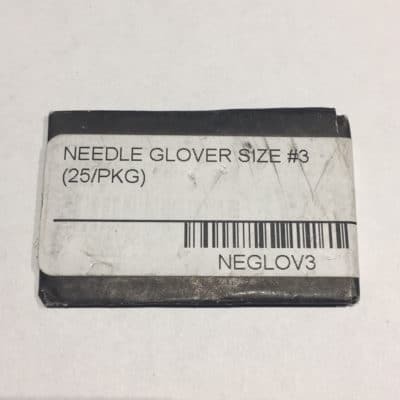 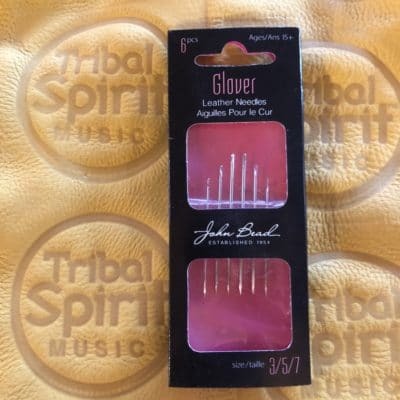 Mix pack of Glovers Needles. 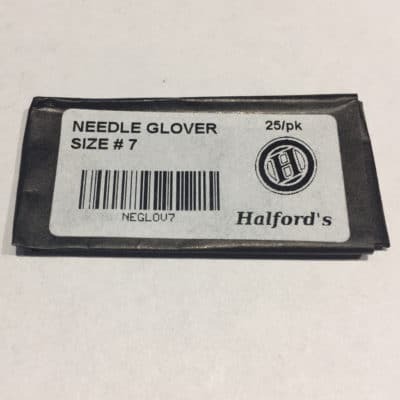 In this pack there are 6 needles, 2 each of: #s 3, 5, & 7. 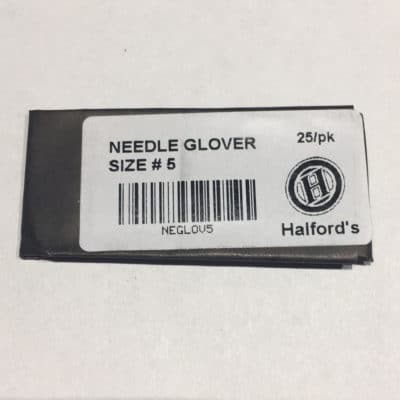 Glovers Needles are for sewing leather. 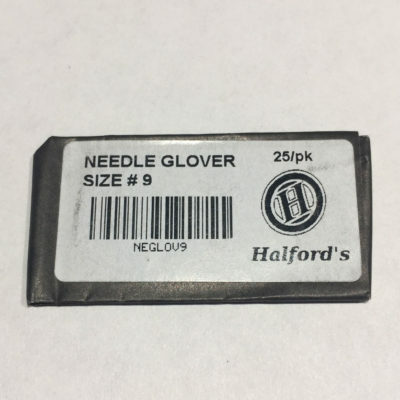 Each needle has a point with 3 sides to it which cuts easily through leather. 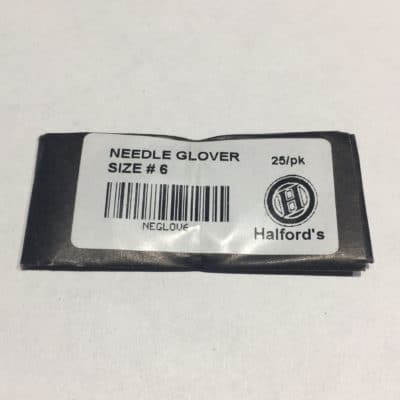 Glover needle sizing are inverse of common sense. 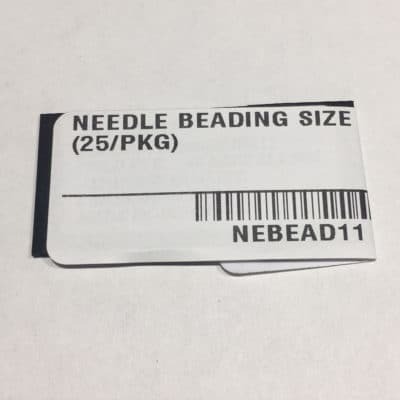 Mix pack of Beading Needles. 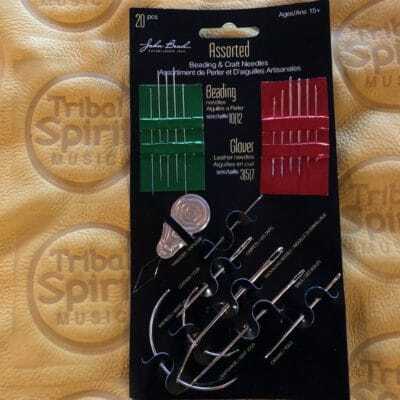 This pack contains 8 needles, 4 each of: #s 10 & 12. 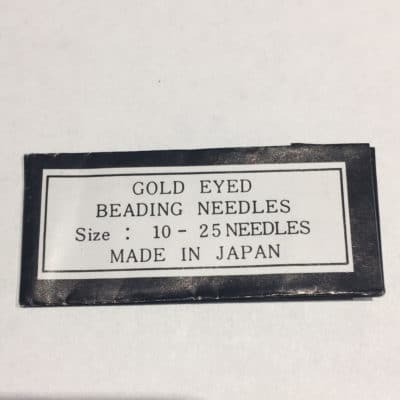 Beading Needles. 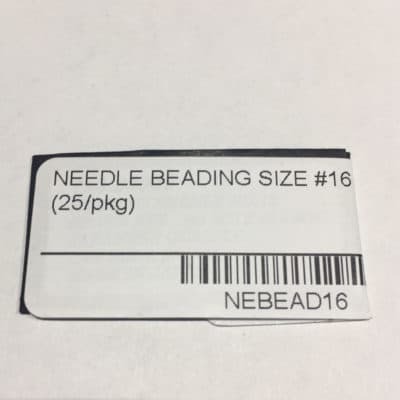 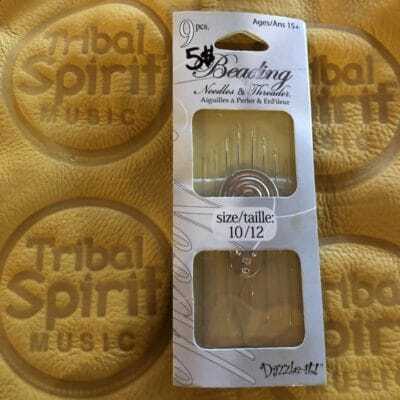 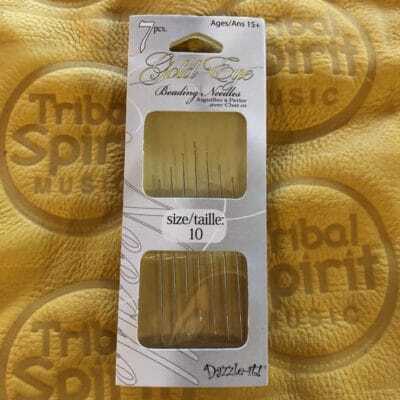 This pack contains 7 beading needles, of size #10.